Time: Every Wednesday, 9:30 a.m. to 11:30 a.m.
Are you currently on maternity leave or about to go on leave? Join the Connect, Learn, Grow program to grow your professional network as a mother, strategically plan your return to work, and take some much needed time to reflect on your career goals! Connect, Learn, Grow program is designed to provide a forum for a meaningful discussion, networking, and support for professional moms on mat leave who love their families, and also value their careers. Through our program, career-driven moms will meet and share their experiences with other like-minded moms, and discuss the challenges of maternity leave, work-life balance, and growing their career while also being a parent. For example, career topics include leadership, negotiation, finances, emotional intelligence, and to lean in or not to lean in. Motherhood topics include nutrition, emotional labor, and changes in family dynamic. 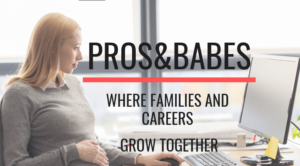 It is a great opportunity for professional moms who want to stay engaged intellectually and stay connected to their career during mat leave!